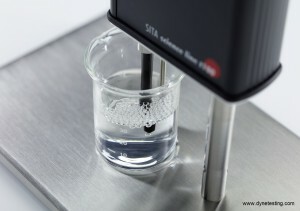 The SITA T100 Bubble Pressure Tensiometer is a compact and high performance instrument for measuring dynamic surface tension and analysing surfactants. 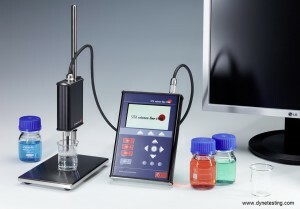 It is a mobile instrument ideal for use in education, industrial laboratories and Research & Development, as well as for the quality control of products with surface active substances. 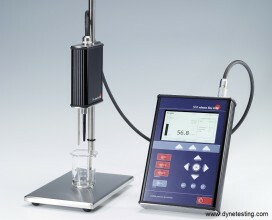 Similar to the Bubble Tensiometer T15 this instrument will measure the surface tension of liquids but within a larger bubble liefetime range from highly dynamic to quasi-static (15 ms up to 100,000 ms). The instrument will automatically control the chosen bubble lifetime accurately without drift and complicated readjustments. The results are presented numerically and graphically on a large colour display screen. 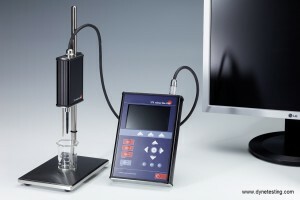 Users can also benefit fro the new windows-based software “SITA-LabSolution” which will automate laboratory measurements and active ingredient analysis. The software is user friendly and offers a report function for creating measurement protocols and result analysis. Measuring the dynamic surface tension with the bubble pressure method enables high precision and flexibility without difficult adjustment of the immersion depth. This is done by pumping air through a capillary into the liquid to be analysed. The pressure within the bubble changes continuously with its’ radius. The surface tension is calculated from the deviation between pressure maximum and minimum. 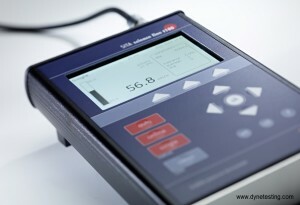 The calibration is carried out automatically with water. Thereby the radius of the capillary is taken into account. Packing List: Tensiometer SITA science line t100 (basic unit and sensor), 2 capillaries PEEK type II or capillaries according to application, power supply, USB cable, stand, 2 sample vessels 50ml, operating instructions, calibration certificate, carrying case. (Please contact us for further information).